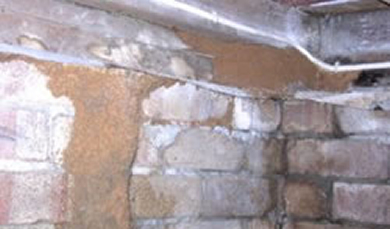 Subterranean termites or "white-ants" are a fascinating yet highly destructive timber pest, causing major structural timber damage to domestic and commercial buildings in the NSW Wollondilly Macarthur Region. 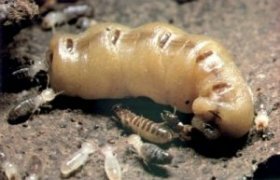 A major economic pest ✦ we estimate 1 in 4 properties in the NSW Wollondilly Macarthur Region have a termite problem ✦ that's why it's mandatory for home-buyers to get a pre-purchase Timber Pest Inspection Report to AS.4349. 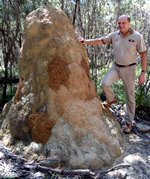 Subterranean Termites occur throughout the entire NSW Wollondilly Macarthur Area with a higher incidence of attack in built-up urban areas - particularly where large eucalyptus gum trees are prevalent. 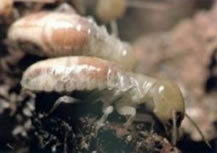 The main destructive species of termites in the NSW Wollondilly Macarthur Area. Coptotermes acinaciformis - commonly found in the NSW Wollondilly Macarthur Region - particularly in built-up urban areas - under concrete on-ground flooring and in areas where eucalypt gum trees are prevalent. Schedorhinotermes intermedius are commonly found in the NSW Wollondilly Macarthur Region and areas of coastal NSW. Coptotermes frenchi are commonly found in the NSW Wollondilly Macarthur Region and other areas of NSW - particularly in built-up urban areas, where homes and buildings are constructed of softwood or oregon timber framing. Nasutitermes exitiosus are commonly found in the NSW Wollondilly Macarthur Region and other areas of NSW - particularly in built-up urban areas or where eucalypt gum trees are highly prevalent. Coptotermes lacteus are found in the NSW Wollondilly Macarthur Region and accross eastern NSW - particularly prevalent along the entire coast-line, along the Great Dividing Range and western slopes. Nasutitermes walkeri are commonly found in the NSW Wollondilly Macarthur Region and other coastal and mountain regions along the eastern side of NSW. Heterotermes ferox commonly found in the NSW Wollondilly Macarthur Region and other areas of NSW particularly where eucalypt gum trees are highly prevalent.